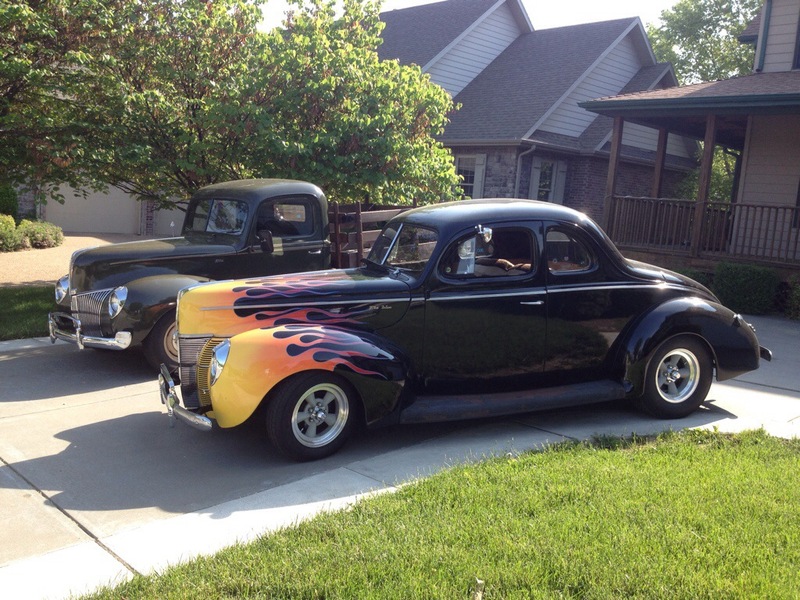 My ’40 Deluxe coupe has been in the family for somewhere around 42 years. My Uncle Bob found it, or actually, it found him, one afternoon while at a car event in the St Louis area. My understanding is that he was approached by the widow of the owner of the car. It had been wrecked, and he was paying for storage while he worked on getting it back together. Unfortunately, he died unexpectedly, and his widow didn’t want a non working car, nor could she afford to pay the storage on it. She asked my uncle if he’d haul it off for her. From about the time I was 5 years old, I was told that car would some day be mine. On my 16th birthday, my aunt signed over the title to me, but money and me don’t seem to stay together, and I had too many distractions that kept me from getting the coupe on the road. 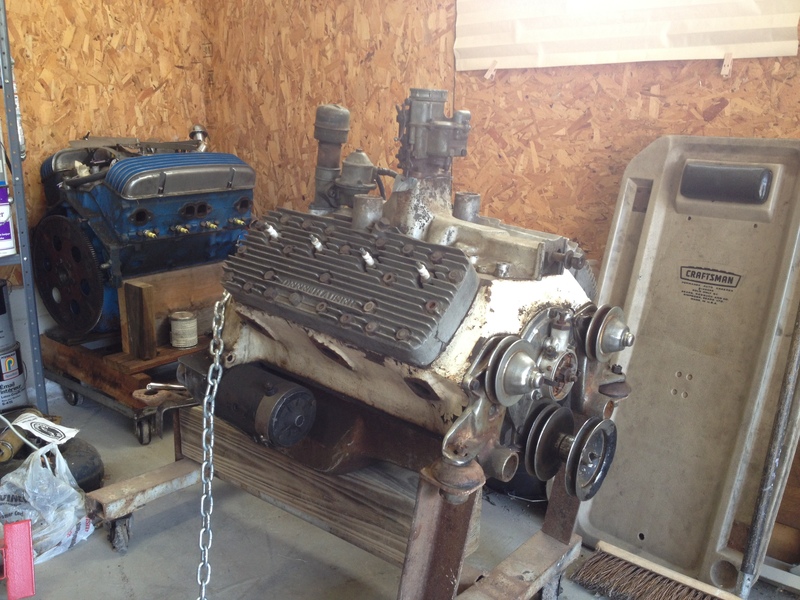 The one thing that I did do, however, was pull out the “junk” flathead, 3 speed and rear end, and replaced it with a 283 that I stole from Dad, 350 turbo, and an 8″ Ford, with a gear ratio that just didn’t work well with that combo. 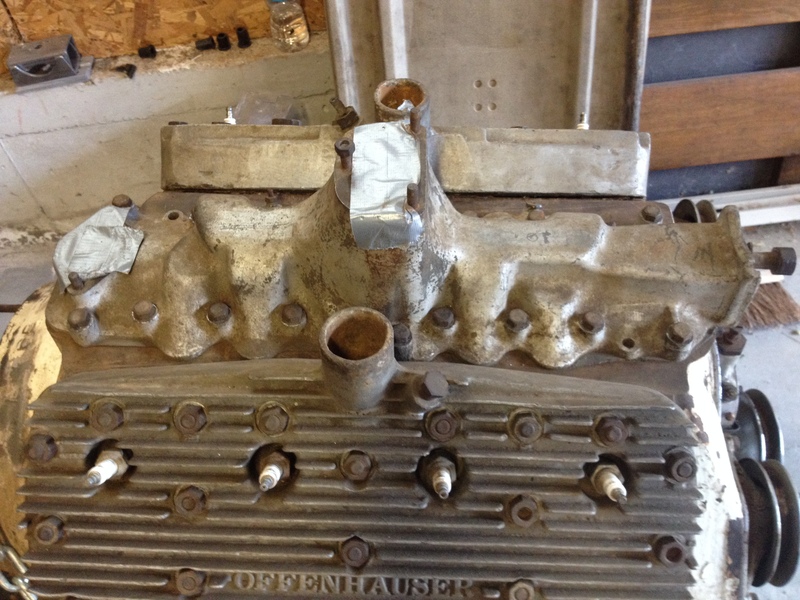 I set the flathead on the table where Dad’s 283 had once been, and it faded into the back of my memory. About 2 years ago, I got the ’40 stake bed, from the same aunt. I’d been after her to sell it to me for the past 20 years, or so, and things worked out to allow me to be the current caretaker. 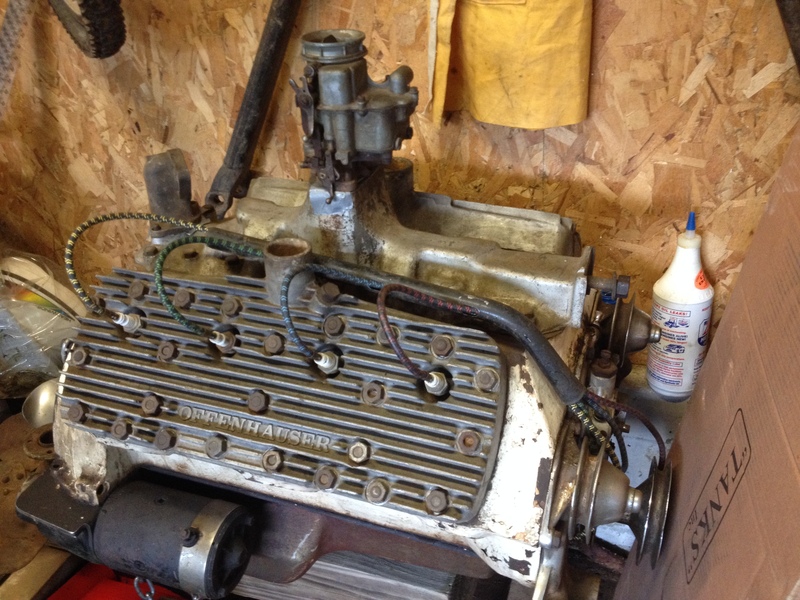 It still runs the original drive train, which includes a 221 flathead. Since getting it on the road, I’ve put about 10,000 miles on it, with 2,000 just in the last month! 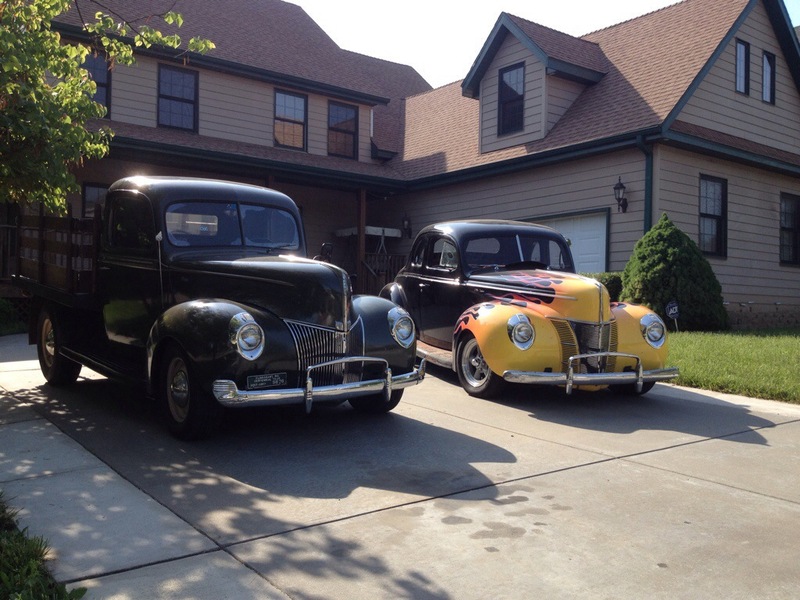 The flathead in it runs great, and it’s caused me to think of “The Forgotten Flathead” back at Dad’s. It’s a 59A block, meaning it’s at least a 239, if it’s not been bored or stroked. Still trying to ID the intake manifold. When I took it off, I was quite surprised at how light weight it is. Definitely an aluminum one, with only a circled 3 and a 4 stamped on it. 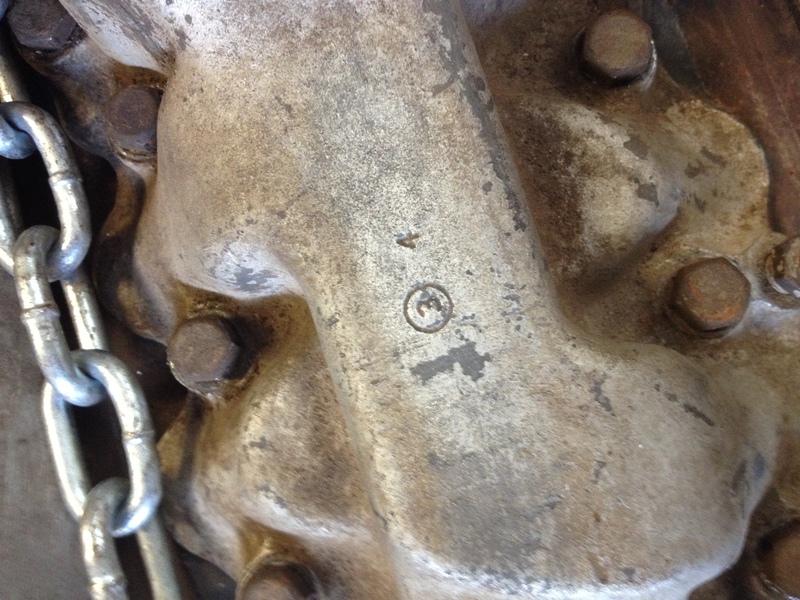 The only stamping that I can see in the intake manifold. 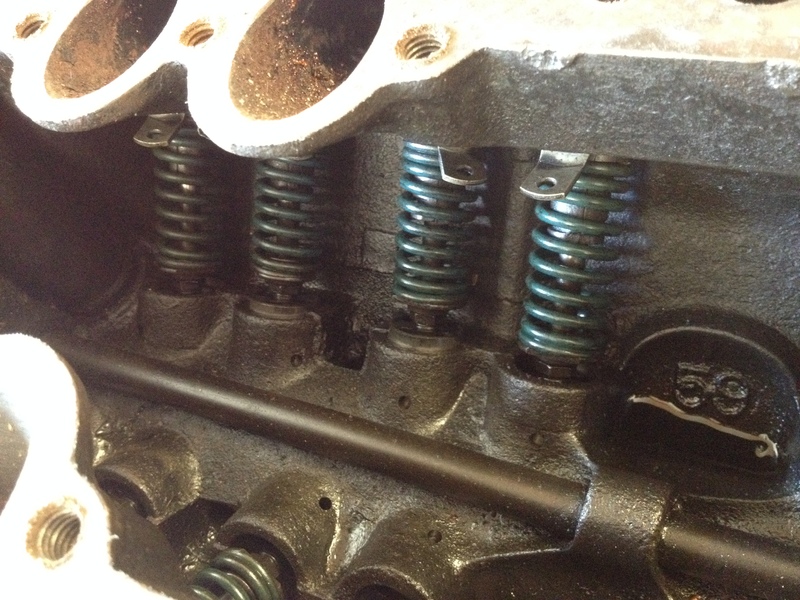 Looks pretty clean and fresh down under the intake manifold, although I did discover a stuck valve on the other side. I had found a bag of color coded spark plug wires in the truck. Figured I would see how they look on this flathead. Time to start collecting stuff for the newly re-found flathead. I need to get a distributor cap and rotor, probably go with a Pertronix electronic ignition, rebuild the carb that I set on it for the photos, get some new water pumps and fuel pump, and finish cleaning it. Yep, The FUN is in the RUN, but sometimes the fun is in the adventure of making something old come back to life.